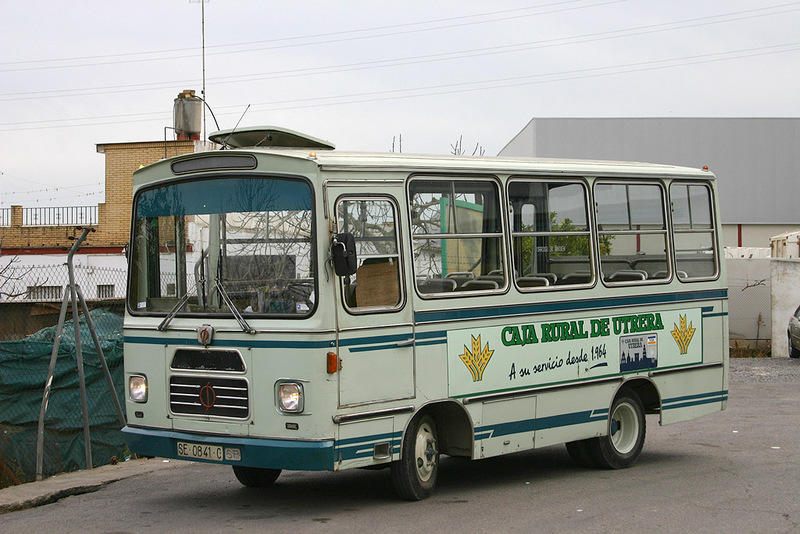 Utrera’s local service started in 1972 operated by the brothers Manuel & Antonio Barrera (Autobuses Hermanos Barrera) consituted as a company. 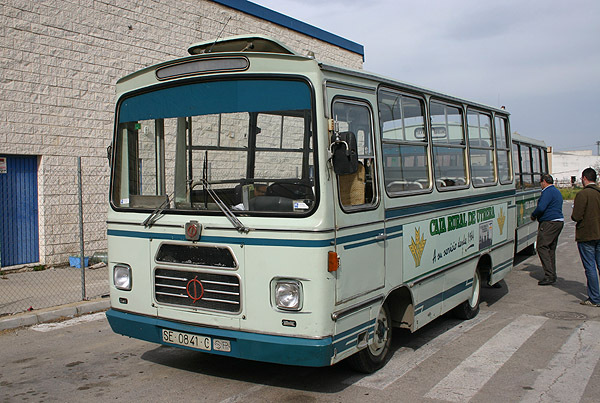 The first three vehicles of this company were minibuses Sava 5701 bodied by Icas. The first unit came in 1972 which would be the fleet’s nº. 1 (plate number: SE-0841-C). 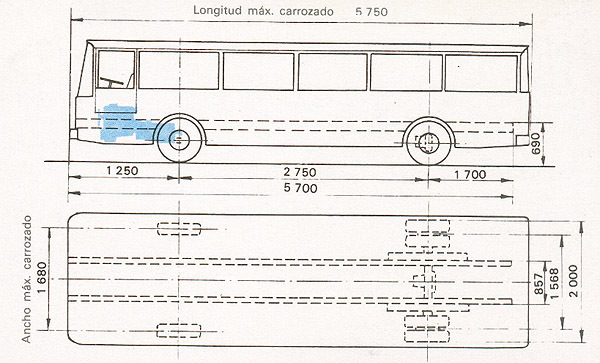 A similar unit, nº 2, arrived in 1973 (plate number: SE-9835-D), showing slight differences with respect to the first unit, both externally (reduced grille and larger blinds) and internally (ligthning arrangement and other finishes). 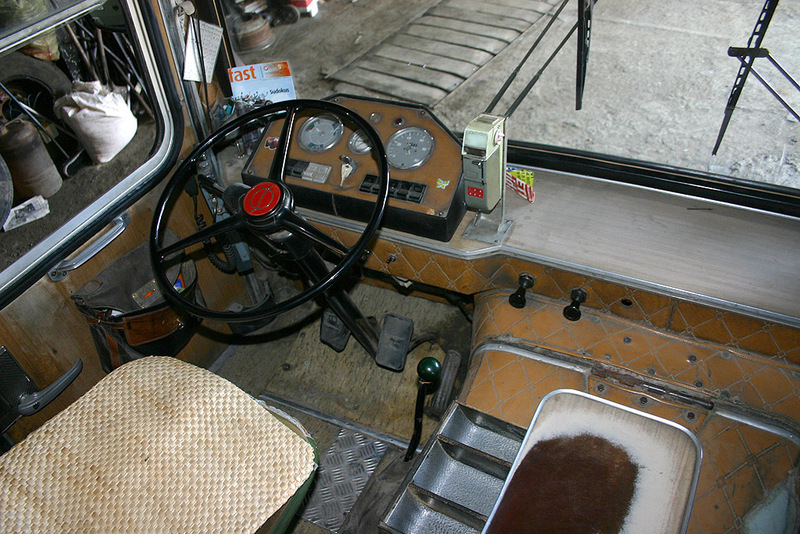 Finally the third Sava was acquired in 1975 logically receiving nº 3 (plate number: SE-4185-H), this unit incorporated a front blind with a more rational shape. Passenger flow went from front to rear through two pneumatic extreme doors. 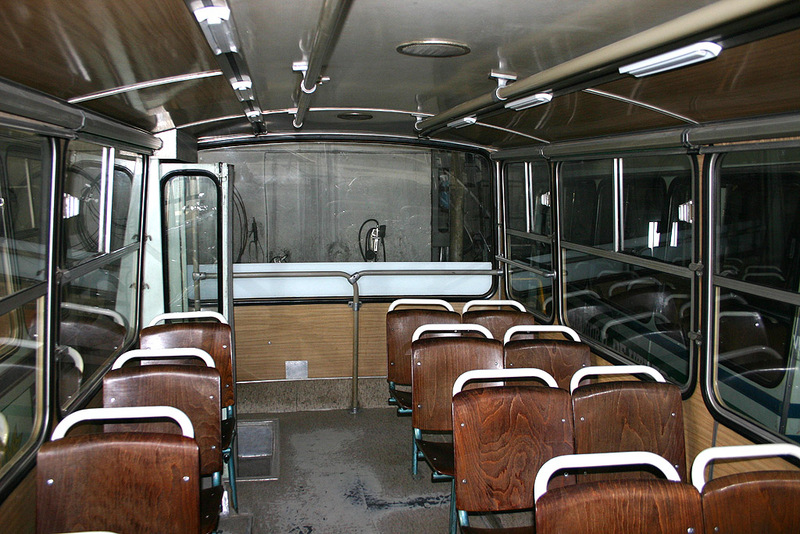 The seats were cushioned at the beginning but they would be replaced by the classic plastic and wood “Vera de Bidasoa” during its active life. The operators fleet would be later completed with nº 4 (plate number: SE-1042-X), a hihg capacity Sava-Pegaso 5720 with Unicar U-75 body acquired second-hand from Sevilla’s municipal fleet (ex-Tussam 180). Additionally three Sava 5701 with Unicar Arosa body were bought, but only as source for spares. 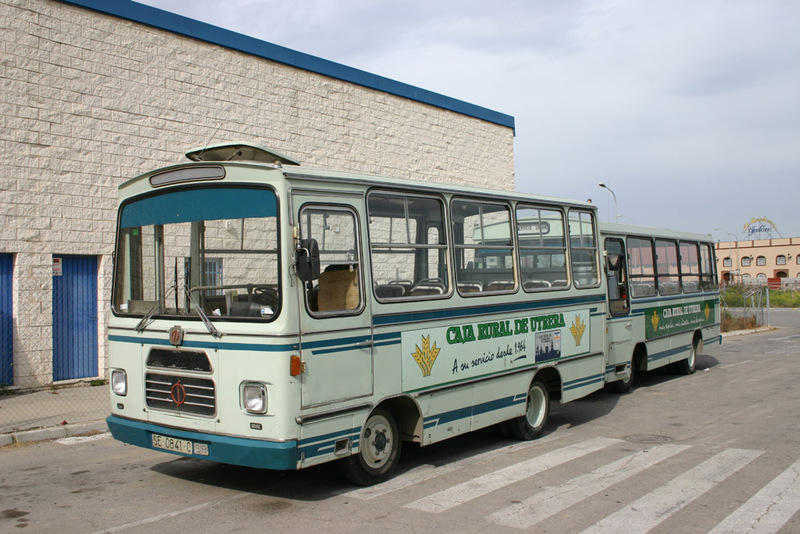 The three units came from Carmona’s local service, from which two (SE-8696-I and SE-8694-I) were in turn originary of Sevilla’s municipal service (ex-Tussam 144 y 145 respectivamente). 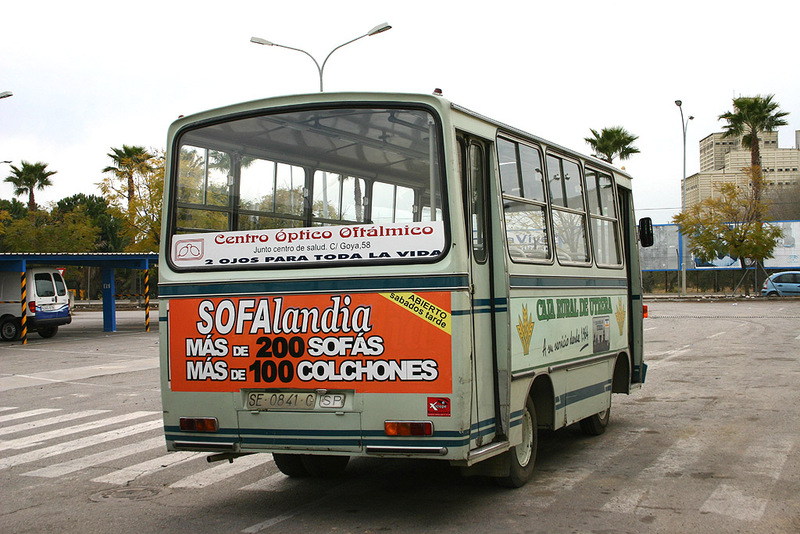 In year 2007, Utrera’s council and the Barrera’s brothers start negotiations to cease service and allow its takeover by Los Amarillos (Grupo Samar) in February 2009. Since the vehicles were in a perfect state the interest to preserve them was obvious. The consequences have been the following: ARCA preserved Sava 5701 nº 1, the council initially preserved nº 3, and finally a group of three ARCA’s associates José Burgos, José María Martínez and Josep Pretel preserved more modern Pegaso-Sava 5720 nº 4. We want to show our gratitude to the Barrera brothers for their help with all the arrangements concerning the preserved units. Service Hidràulic amb servofrè per aire comprimit.